Merrimac, MA Remodeling Contractor | Star Construction Company, Inc. If you’re a homeowner in the beautiful community of Merrimac, MA and are considering remodeling your home, you want to work with a contractor you can trust to get the job done right the first time. At Star Construction, we have over 40 years of experience working with many different styles of home, and we’d be delighted to help you renovate your property. We love Merrimac’s wooded streets and beautiful landscape, and enjoy working with homeowners who want to turn their house into the home they’ve always dreamed of. After all, when you’re living in such an idyllic town, you deserve to live in an idyllic home. With all of the recreational opportunities, sight-seeing, and annual events, Merrimac is a place you want to live for a long time – and we want to help make sure you’re comfortable. 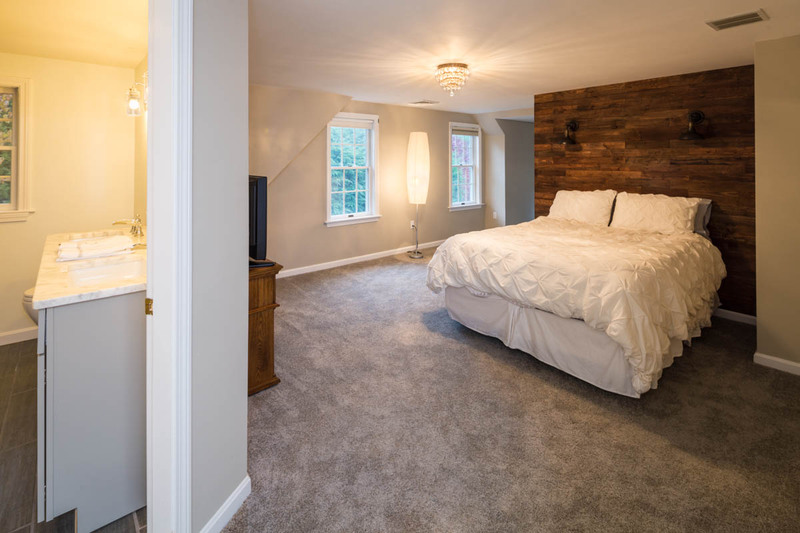 These Merrimac clients were looking for a complete revamp of their master bed/bath suite, which had a floorplan that didn’t fit their vision. 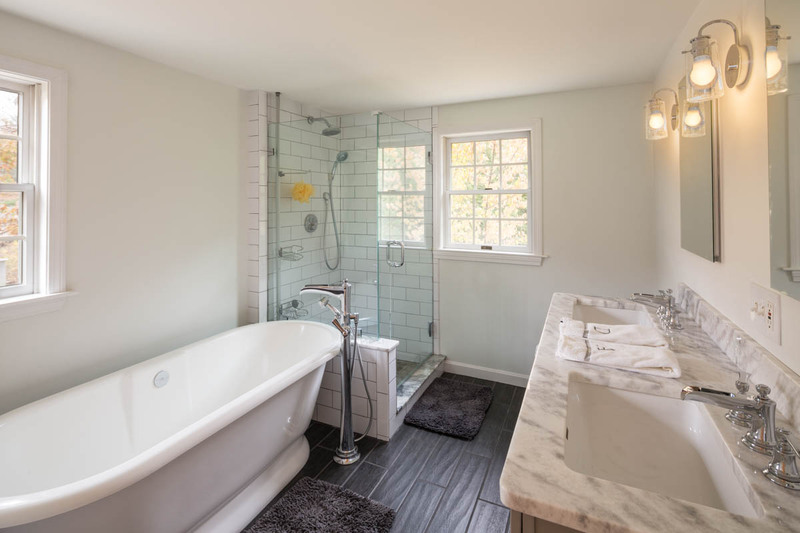 We changed the layout to increase the size of the bedroom, so that we could change their closet to a walk-in, and rearranged the bathroom to make better use of their existing space by shifting the location of the bathtub and improving the overall design. The result was a beautiful master bedroom and bath that fit the clients’ desire for a high-quality, classically styled space. We also worked with them to remodel a bathroom on the first floor, and they’ve asked us to work with them further on detailing and repairs in the future. Making the decision to invest in renovations for your Merrimac home can be daunting; remodeling your house can be a large expense, and working with the wrong contractor can turn it into a nightmare. That’s why Star Construction is here to help. We want to work with you to make sure your home renovation is as stress-free as possible. We bring over 40 years of experience and a crew of trustworthy sub-contractors to our projects, and will work with you and everyone involved to make sure that there are no gaps in communication and everyone is on the same page. We listen to your budget and your ideas, and will bring them to life in a way that melds seamlessly with your existing property. Whether you’re doing a whole-home renovation or a smaller project, we’ll handle it with care, experience, and dedication to detail, to make sure that we don’t miss anything important. If you want to work with a trusted, experienced local contractor, don’t hesitate. Schedule your consultation with Star Construction today.